View of the city. Santos, S\xDCo Paulo, Brazil. 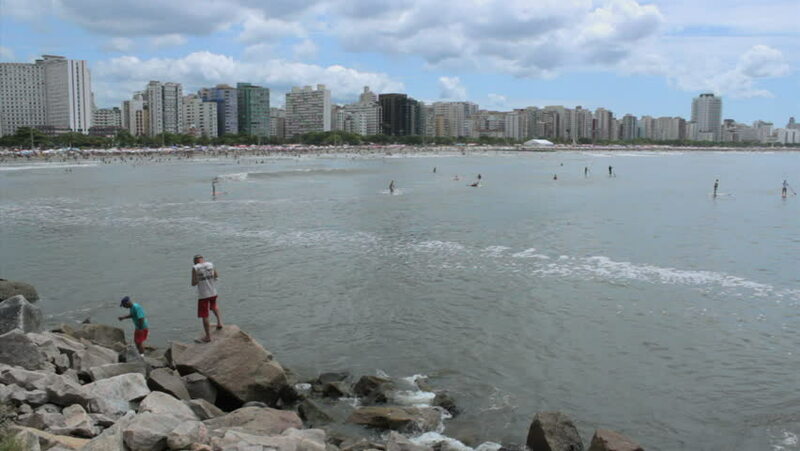 Sao Paulos litoral coast. 4k00:18HAVANA, CUBA - MAY 15, 2016: Skyline of Havana, Cuba along the coast. hd00:20JACKSONVILLE BEACH, FL-AUGUST 15, 2015: Surfers enjoying Jacksonville Beach on a nice day. Jacksonville Beach is 15 miles east of Jacksonville and has a population of 21,362 at the 2010 census. 4k01:00Condado,Puerto Rico /USA- September 22, 2018: Drone footage in Condado beach Puerto Rican beach. beautiful blue water and sand.